Primary purpose of this article is to analysis best Sciatic Nerve Treatments. The sciatic nerve is among the longest nerves in the entire body. It begins in the low spinal column and then branches out down each buttocks, thighs, legs and into the feet and toes. The nerve can produce a shooting type pain as well as a “pins and needles” sensation if it’s pinched by a herniated disk in among the vertebrae. 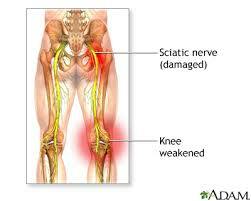 The pain may also occur when a muscle inside buttock pinches or irritates the sciatic nerve. Here discuss some Sciatic Nerve Treatments: Self-Care, Muscle Relaxants, Oral Steroids, Physical Therapy and Exercise, Surgery and Prescription Grade Topical Pain Cream.